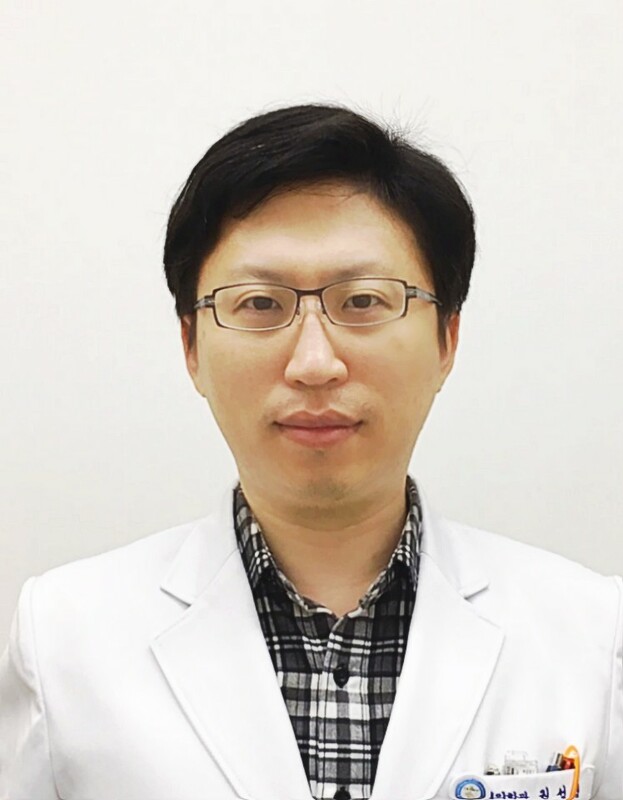 Seong Young Kwon / M.D.,Ph.D. - Park HJ, Min JJ, Bom HS, Kim J, Song HC, Kwon SY. Early stimulated thyroglobulin for response prediction after recombinant human thyrotropin-aided radioiodine therapy. Ann Nucl Med. 2017 Oct;31(8):616-622. - Jung TY, Kim IY, Lim SH, Park KS, Kim DY, Jung S, Moon KS, Jang WY, Kang SR, Cho SG, Min JJ, Bom HS, Kwon SY. Optimization of diagnostic performance for differentiation of recurrence from radiation necrosis in patients with metastatic brain tumors using tumor volume-corrected (11)C-methionine uptake. EJNMMI Res.2017 Dec;7(1):45. - Kwon SY, Choi EK, Kong EJ, Chong A, Ha JM, Chun KA, Cho IH, Bom HS, Min JJ, Kim J, Song HC, O JH, Kim SH. Prognostic value of preoperative 18F-FDG PET/CT in papillary thyroid cancer patients with a high metastatic lymph node ratio: a multicenter retrospective cohort study. Nucl Med Commun. 2017 May;38(5):402-406. - Jeong GC, Song M, Park HJ, Min JJ, Bom HS, Cho SG, Park KS, Kang SR, Kim J, Song HC, Kwon SY. Iodine Uptake Patterns on Post-ablation Whole Body Scans are Related to Elevated Serum Thyroglobulin Levels After Radioactive Iodine Therapy in Patients with Papillary Thyroid Carcinoma. Nucl Med Mol Imaging. 2016 Dec;50(4):329-336. - Jung TY, Min JJ, Bom HS, Jung S, Kim IY, Lim SH, Kim DY, Kwon SY. Prognostic value of post-treatment metabolic tumor volume from (11)C-methionine PET/CT in recurrent malignant glioma. Neurosurg Rev. 2017 Apr;40(2):223-229. - Han YH, Kwon SY, Kim J, Na CJ, Choi S, Min JJ, Bom HS, Kim YC, Oh IJ, Chae HJ, Lim ST, Sohn MH, Jeong HJ. A phase II clinical trial to investigate the effect of pioglitazone on (18)F-FDG uptake in malignant lesions. EJNMMI Res. 2015Dec;5(1):50. - Kwon SY, Kim J, Jung SH, Chong A, Song HC, Bom HS, Min JJ. Preablative Stimulated Thyroglobulin Levels Can Predict Malignant Potential and Therapeutic Responsiveness of Subcentimeter-Sized, 18F-fluorodeoxyglucose-Avid Cervical Lymph Nodes in Patients With Papillary Thyroid Cancer. Clin Nucl Med. 2016 Jan;41(1):e32-8. - Kwon SY, Jiang SN, Zheng JH, Choy HE, Min JJ. Rhodobacter sphaeroides, a novel tumor-targeting bacteria that emits natural near-infrared fluorescence. Microbiol Immunol. 2014 Mar;58(3):172-9.